at Loving Hut restaurants around the world! Let our darling friends be happy and healthy with us! Loving Huts start to sell vegan dog food from now on! 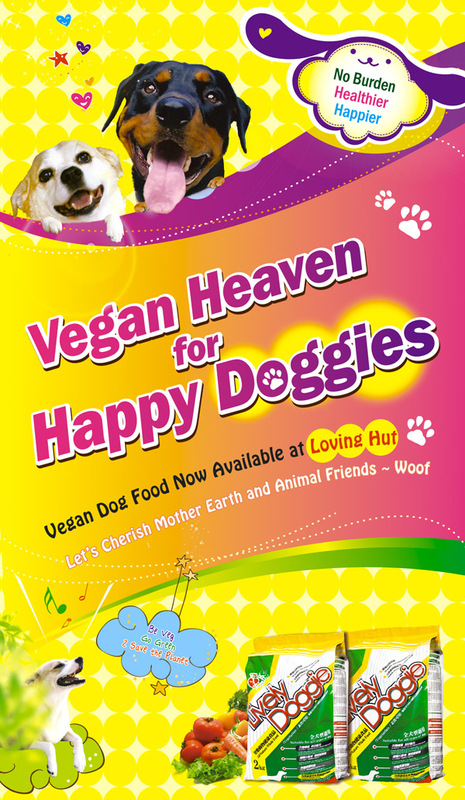 It will be very convenient for dog caretakers to buy nutritious, healthy and loving vegan dog food. Our doggie friends will be able to eat more healthy and less burden meals; therefore they would live with us in the loving and joyful atmosphere for long long time. We believe the future of our planet is going to be very prosperous!